Inspired by our popular women’s Montara Boot, the Northridge is ready to weather the storm in style and comfort. 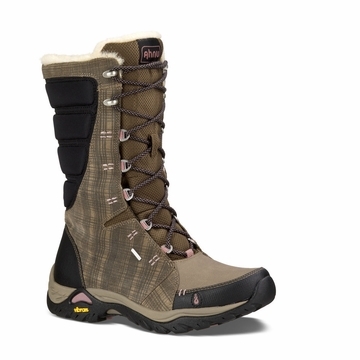 Chic and warm, this lightweight mid calf boot features a waterproof suede with a classic, plaid-embossed pattern then lined with Ahnu’s waterproofing bootie system and armed with 200 grams of Thinsulate insulation to keep feet warm and toasty in rain, sleet or snow. The medial zipper entry combined with the lace-up functionality allows for easy access and a custom fit, while the Vibram® rubber outsole provides optimal traction to brave winter’s wonderland.